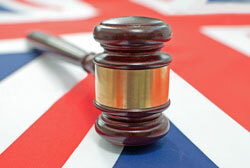 Welcome to QCourt.co.uk where we regularly update court reports from around the UK. Magistrate court reports are updated daily. IMPORTANT - Whilst we adhere to the reporting standards for court reporting any person feeling that information is inaccurate in any of our reports should use the "Report A Post" feature present on every report which will be brought to our attention during office hours. We also provide a useful Support & Guidance guide and a Glossary of Court Terms. CRIME IN YOUR AREA - Simply visit www.police.uk and enter your POST-CODE or town or village to checkout the latest crime statistics in your area. Crimes are shown on a MAP, even down to street level, and are categorised by the type of crime such as: Burglary, Anti-social Behaviour, Robbery, Vehicle Crime, Violent Crime, Public Disorder and Weapons, Shoplifting, Criminal Damage and Arson, Other Theft, Drugs, Other Crime. 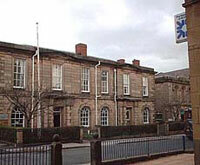 Qcourt is part of the QLocal website offering local news by location throughout the UK. www.qlocal.co.uk is packed with local information including News, Forums, Free For Sale, Local Pictures, Local Business Directories, Crime MAPs, NHS Services, and a lot more.